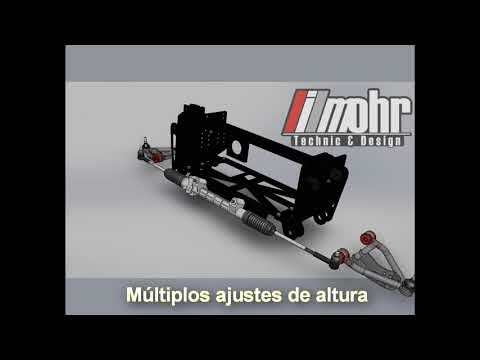 A brand new front double A arm suspension for BUS (T1&T2). Its design delivered a sport and confortable handling, with rack and pinion steering and fully adjustable triangular arms. (With adjustments of height, toe and camber). American Bus need to change the spindle to 71- disc and machine it. It have 4 adjustable positions, the holes give 25, 50 and 75mm drop. 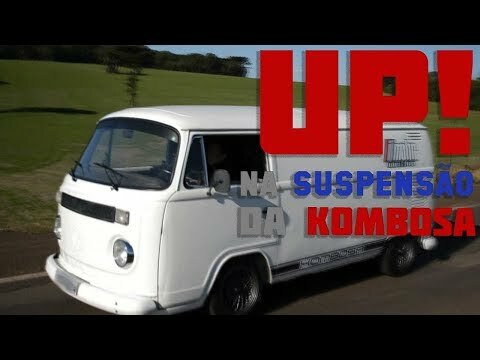 A system with springs and shock absorbers (coilover): Sportivity, comfort and safety for your BUS!